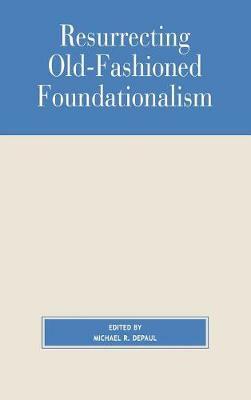 The contributions in this volume make an important effort to resurrect a rather old fashioned form of foundationalism. They defend the position that there are some beliefs that are justified, and are not themselves justified by any further beliefs. This epistemic foundationalism has been the subject of rigorous attack by a wide range of theorists in recent years, leading to the impression that foundationalism is a thing of the past. DePaul argues that it is precisely the volume and virulence of the assaults which points directly to the strength and coherence of the position.